Augmented Reality games, or AR, have taken over the scene over the last couple of years. It seems this form of game is only getting more popular, especially when it comes to players that might not have enough time to play console games. These games tend to be free to download and play, but there are often charges that you might not consider when you begin playing a game. These tips will help you get the most out of your gameplay, so you don’t have to spend money trying to enjoy your favorite games even more. So, get ready to embrace your favorite games with a whole new motto, or simply try out some new games to kill your excess time. Most AR games are free to download, which is good news for your budget. However, most of these games do also have a ton of in game purchases. These purchases are designed to be enticing too, because they help improve game play and sometimes even make the hardest challenges a bit easier. The store tends to know how to draw you in too, so it is best to avoid it altogether when you can. One of the best ways to prevent you from spending a lot of money is to lock your purchases. You should never connect an account to your game because this will just cause you to spend more due to the convenience of it all. Instead of putting money on your account using your credit card, you should buy gift cards when you do want to splurge. This will prevent you from being spontaneous and will ensure you have the money to cover what you plan to buy. Since most AR games can be found on your mobile device, they tend to use up quite a bit of your mobile data too. This can cost you a fortune if you don’t have a plan that allows you to use the data you need to play. So, before you get into one of these games, you might want to shop around for a plan that gives you unlimited data. This will prevent you from seeing any unforeseen charges on your phone, which will definitely make life a lot better. Of course, your plan should work well in the area too, or else you’re going to be paying for a service that will leave you glitching as you play. Many of the AR games around today are designed to help inspire people to get out into the community. For instance, Pokemon Go allows you to interact with other players so that you can all gain from the assistance. Due to this, the game offers many special events to help bring people together to form friendships and improve team work. This friendly game play often leads to community events that the game doesn’t host too. For instance, players might get together for a potluck or a trading event. This can actually add to the frugality of the game too, as the more people you have helping you, the less likely you are to need to spend money. If you’re interested in joining the community then look on social media pages to see if you can find a group near you. If you do enjoy spending money to improve your gameplay then there are a few ways you can do this without sacrificing your hard-earned money. One of the best ways is to do surveys online. Many surveys will offer you gift cards, which can be used on your Google Play store or in iTunes. This will allow you to build up points that can go towards in store purchases. There are lots of survey sites that can help you out, so you will have to look around to see which one is going to work out in your favor. One easy option is to try out Google Play Credits. You might not get surveys frequently but overtime your effort will add up to help save you even more money. Another way to maximize your game play is to make sure to take advantage of the in-game rewards. If you play the game enough, you should be able to unlock special bonuses that will make spending money on the game less tempting. Like most causal games today, most game creators will give a special bonus for logging in. Most games also offer ways to earn coins that can go towards purchases. This can be as simple as watching an advertisement or working on a special question. Of course, using the in-game rewards can make the game a lot more fun too. This is especially true if you have to work towards a goal in order to get the reward. So, have fun with the game and see how it helps you financially. More often than not, AR games require you to leave the house in order to take advantage of all the fun it has to offer. However, this can cost you more money than you’d like to spend. If you really want to enjoy these games, try to keep things on the environmentally friendly side. For instance, you should always walk whenever you can. For many games, this actually has rewards of its own. Of course, cycling and carpooling is also an awesome way to get the most out of the game. This will help cut back on the money you spend on gas, while saving you quite a bit of money in the long run. Plus, you will be able to make new friends this way, which will improve gameplay even more. You should also avoid littering and causing damage to property. This is not only bad for the environment, but it can get your fined. It might also cause other players to report you, which can force you to lose your game. Of course, like in real life, you’re going to have to show some restraint when playing games. Most games require supplies to function and you can’t do a whole lot without these supplies. So, you might want to consider slowing down on the items you use. This will prevent you from running out and feeling the need to purchase money in the store to help resupply yourself. If you’re having trouble with this, limit yourself to a certain amount of supplies each day based on the amount that you can replenish in a day. This should keep your game flowing efficiently, so money won’t be needed. 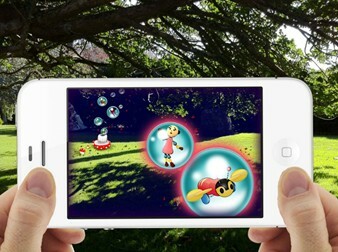 Your phone can become one of the most valuable assets when playing AR games. Of course, there are some AR games available for PC and other consoles, but most games will operate on your phone or tablet. If your phone can’t handle the game, then you might be in store for lots of frustration. Your best option is to shop around for phones that can play the game. This doesn’t mean you have to spend a fortune on the game either. Rather, you can find a cheap phone that offers perfect capabilities for the game. You should check into the games you’re interested in to see what your phone will need in order to play. You can always upgrade with memory cards and more too, so you don’t have to worry about going overboard with spending on a new phone. AR games are going to have you outside quite a bit, so you should always be aware of your surroundings. Keeping track of the weather you could be facing is one of the most important things you can do. It is often best to pack a bag with a simple rain coat and sunscreen in it. This will allow you to be prepared for harsh UV rays as well as surprise rain storms. You should always have a hat with you, even when the weather there is overcast. This will work to protect your skin and eyes from the sun, even if it doesn’t seem hazardous. Water is also a must if you plan on being out for very long. A first aid kit might also come in handy, especially if you’re playing with children. While driving, make sure you keep your eye off of the road. It is sometimes best just to turn the phone completely off, if you’re worried about temptation. Of course, if you are walking or cycling you must watch the road efficiently too. Keep an eye out for wild animals as well. You never know when you’re going to run into a stray that might not be friendly or a snake. You should also make sure to respect trespassing signs in order to avoid fines or confrontation. When it comes to AR games, you’re going to get the most benefits out of playing frequently. This will give you the opportunity to receive more rewards, experience points and so much more. Playing often also gives you more knowledge about the game, so you can work out strategies that will allow you to get more out of the game. Overall, game play will help prevent you from buying items for the game, because you will have put in the work to earn them. Playing often also will help you build up a team, which is certain to get you on the right track with your gameplay. New and improved AR games are always hitting the market. With these ten tips, you should be able to enjoy them all without spending a penny. So, make sure your phone has plenty of space for the Walking Dead, Pokemon Go and the highly anticipated Harry Potter AR game, because these fun apps are certain to take over your free time.